The quest continues to find the lake we were looking for last week. We tried to find a map, but Visitor’s info said the one we wanted are no longer available. We talk with a fisherman at a local sports shop and although he doesn’t have specifics, he explains a new road was built so now we have a better idea of how to find it. We hadn’t planned ahead but during a quiet afternoon chat, Keith suggests we head up that road to find the lake we did not find last week. I’m fine with that, new territory on a sunny day and new photos make for a great reason to go and Keith knew where we were going this time.... sorta. We see more green rolling hills as we head in another direction although in the same general area. Ranching has always been an important part of Kamloops history and there are signs that show some of those family names from many years ago are still in the ranching business. We did see a few herds of cattle on the different country roads. It had been calving season and there were several calves in this small herd enjoying their afternoon siesta in the sun. 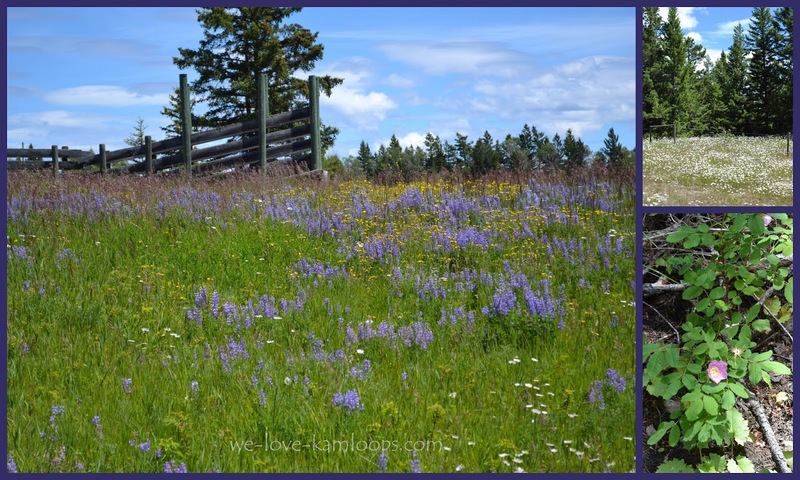 The wildflowers are in bloom and we see fields of purple lupine which is the most common wild flower of BC. They can be blue, purple or pink. They are found at all elevations and are a marmot’s favourite delicacy. We also saw fields of oxeye daisies and roadside patches of wild rose. 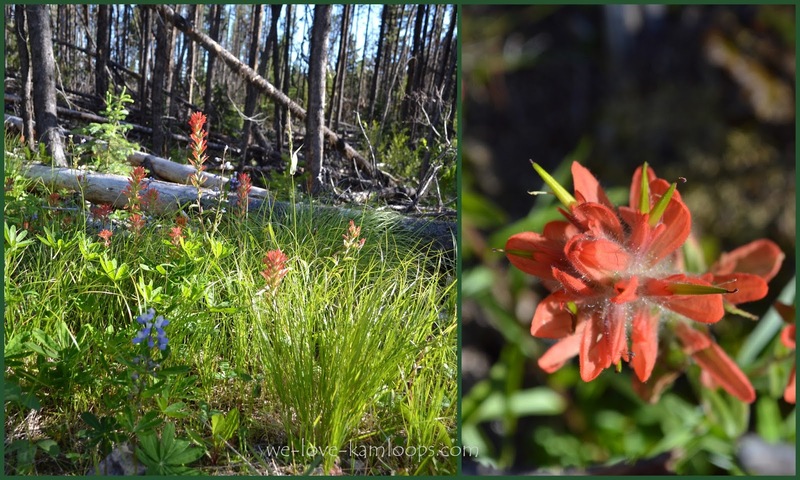 The Indian Paintbrush, as this is commonly called, is a native wildflower. 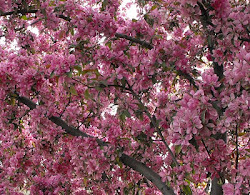 The flower is edible and was consumed by Native American tribes as a condiment with other greens. The roots and green parts can be toxic but if eaten in moderation was used to treat some health problems due to the high selenium content. If my very limited cattle breed information is correct, Hereford are the brown and more common cattle seen in the area but we did see some black ones in another field. The moms, some had the white faces, were nearby but their calves were curious enough to stay alongside the road to watch us go by. Perhaps there were some Aberdeen Angus in there. Now back to our quest for ‘that’ lake. The first several kilometers was not a bad road but that changed. For some reason, I understood that the road to this lake was a forestry road which led me to believe it would be wide, flat and no pot holes. In my dreams! ‘Forestry’ obviously also means logging road and even calling it a ‘road’ is being generous at times. This is not the worst part of the road here but it has plenty of potholes to bounce through. So we are back to bouncing and jostling another 16 kilometres (10 mi) along logging ‘roads’. The good thing is we see there are other tire marks on this road, so it has been used today. I am holding onto Maggie, our little dog with one hand, the camera in the other hand, and the seatbelt stops me from bouncing off the seat! Are we having fun now! 10 kph (6 mph) is our fast speed. We both let a sigh of relief out when this beautiful sight comes into view! The quest has been conquered and we have arrived. There really is a Ross Moore Lake! This lake is a good size and has a good reputation for fishing. There were 3 boats just getting off the lake as we got there. We spoke to the fishermen in the last boat and they had “caught dinner, but the big ones didn’t like the boat” and got away. Our quest completed, we felt a cold drink was a just reward for surviving yet another gruelling (my description) trip on a local fishing road. I am told this road was like most other fishing lake roads! 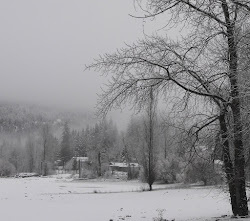 It had taken us 90 minutes to get here and now we had to return on the same 16 km of rough road that we had come up to Ross Moore lake on….but we survived another adventure on our Kamloops country roads. The earlier adventuresome day as we tried to find Ross Moore Lake can be seen by clicking here.